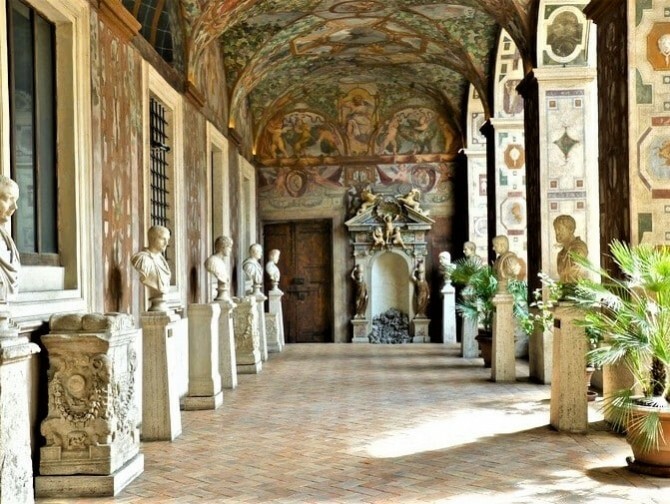 Here you have a list of museums and monuments in Rome with free entry during the museum week from 5 to 10 March 2019. This is the list of museums you can visit in Rome and in the province. Of course you will find the Colosseum and the Fori Imperiali, but also the marvelous Villa D’Este and Villa Adriana in Tivoli, the excavations of Ostia Antica and Domus Aurea. Last winter days , spring is slowly knocking on the doorstep. MARCH in Rome will be a pocket full of events. Are you ready to live them with us? Carnival begins Thursday, February 28, 2019 and ends Tuesday, March 5, 2019. 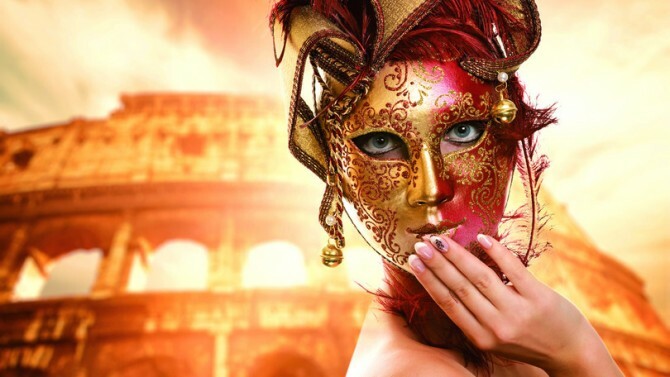 Saturday, March 2, there will be a big official parade, but every day, around Piazza Navona and Via del Corso you will find masks and parades from Thursday to Shrove Tuesday. Why not take advantage of it and spend an unusual Saturday? And so, here we are ! Long days, mild climate. The best time of the year for long walks in the streets and among the beauties of the Eternal city . Stay with us at Yes Hotel Rome ! Take a rest in our comfortable and beautiful rooms. A great place to relax and regain your strength after a long day out. With eyes open or closed dreams meet great contemporary art. 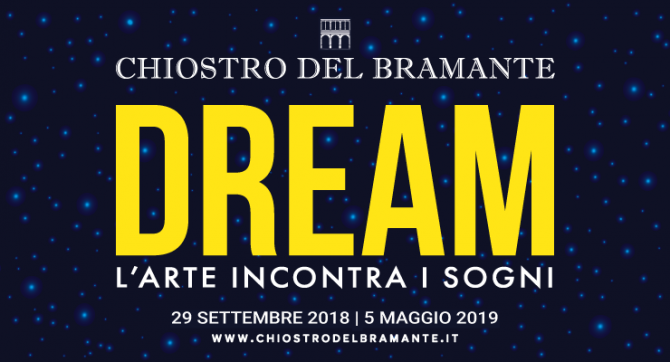 Dreams guide viewers through a series of stages and steps, stops and re-starts: from confrontation with nature to identification in forms, from the evocation of personal and collective memories to the passage of time, from the sublimation of shadows to immersion total in light. Walk to the main Termini Station and from there take bus 64 or 40Express, they will stop you at a few steps from the magical location. Like every first Sunday of the month, entrancy to galleries, archaeological excavations and mouments will be FREE. So don’t miss the opportunity to visit the Colosseum Archaeological Park, the Baths of Caracalla, the Pantheon, Villa di Livia and the Ostia Antica Archaeological Park. If you are looking for more ideas , our staff will provide you even more information ! Traditional dishes that can’t be missed are Lentils and Cotechino ( pork sausages ). Both Cotechino and Lentils represent abundance since the Roman times. Eating lentils the night of New Year’s Eve symbolizes the wish of prosperity and fortune for the new year. This tradition comes from the Romans, who used to donate a leather bag containing lentils, with the wish that they would be transformed into coins. If you are a tourist , many restaurants offer a New Year’s menu, excellent in quality and tradition ! Just remember to book ahead. 2 * New Year’s Eve outdoor. Another common way to celebrate New Year’s Eve is to party in the heart of the towns. Concerts and streets shows are organized everywhere in Italy, both in small villages and in big cities. In Rome you will find 24 hours no-stop shows. Free theatre and dance performances with street artists all around the city center. Along the Tiber there will be the greatest fun as well as around Circo Massimo and Coliseum area, where after midnight will perform the big Italian artist Vinicio Capossela ! 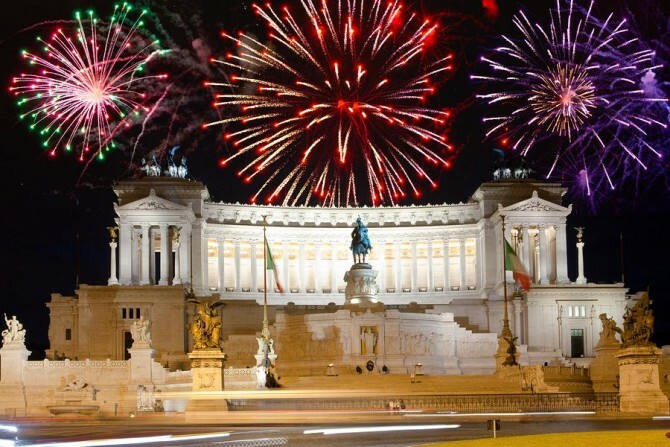 At midnight you can watch the fabulous fireworks over the Coliseum. UNMISSABLE ! Still not tired? What about going dancing till dawn ?! Here’ s a list of discos where you can dance all night long , but also book there a dinner! We wish you a joyful end of the Year and Great start of the new one! For more infos visit us at Yes hotel Rome , our staff will be happy to assist you in every way! From October 10th to February 24th. The artist is part of to the Abstract Expressionist avant-garde group of the New York School active in the 1950s and 1960s. 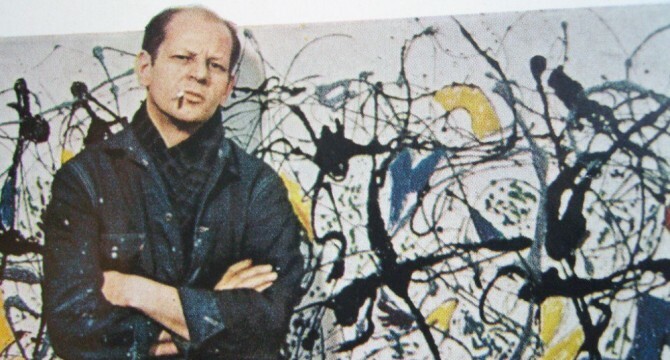 Pollock is also known as ‘Jack the Dripper’ – because of his revolutionary way of applying paint to canvas. 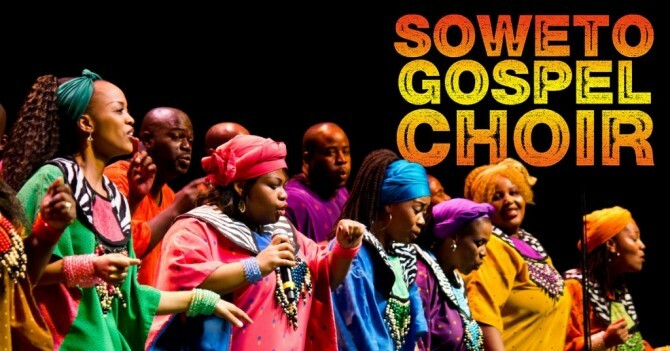 Founded in 2002 and currently led by Beverly Bryer, Mazwe Shabalala and Mulalo Mulovhdzi, the Choir inlcudes the best vocal talents of the churches and communities of Soweto , the big suburb of Johannesburg. The shows are full of rhythm, energy and passion. Yes Hotel Rome located on a quiet side street in the city center is perfect for a romantic getaway, a relaxing break or business trip! Journeys through Ancient Rome // Extended to November 13. The successful projects that has attracted more than 100 thousand spectators will be extended till next November 13 . Two projects tell the story of the Forum of Augustus and the Forum of Caesar starting from stones with the use of technology. The journey is accompanied by the voice of the italian journalist Piero Angela and video reconstructions showing the places as they appeared in ancient Rome. The show inside the Forum of Caesar is itinerant. The access is near the Trajan’s Column and crosses the Trajan’s ForumThen down the tunnel of the Fori Imperiali you reach the Forum of Caesar and continue till the Roman Curia. The ticket for a single show costs 15 euros, while combined in the same evening or in two different evenings the visit of the Forum of Caesar and that at the Forum of August cost 25 euros . There are three replies (duration 40 minutes) inside the Forum of AugustusThe itinerant path of the Forum of Caesar instead consists of four stages, each lasting about 10 minutes. Don’t miss the last call. JE SUIS L’AUTRE. GIACOMETTI, PICASSO AND OTHERS. Just at a few minutes walking distance from Yes Hotel Rome at the National Roman Museum of Baths of Diocletian, 80 great works are exposed. They include sculptures by great masters of the twentieth century and masterpieces of ethnic art. The exhibition is conceived as a thematic journey in which are represented the artists of the twentieth century and the art of the ancient cultures from which they took inspiration. The project confirms the vocation of these monumental spaces to host large exhibitions of modern and contemporary art. 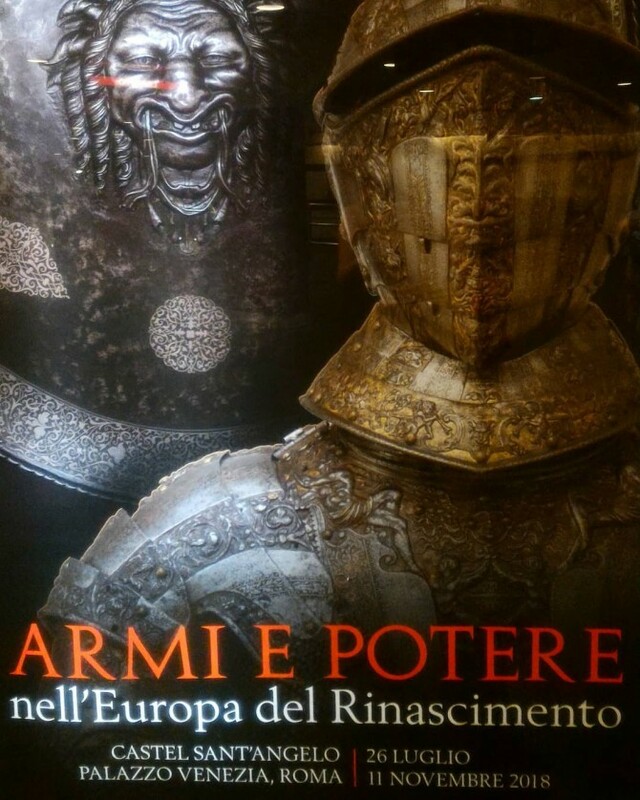 Don’t miss this important exhibition and book you stay at Yes Hotel Rome ! We will be happy to offer you our best offers ! And don’t forget to spend you nights with us at Yes hotel !